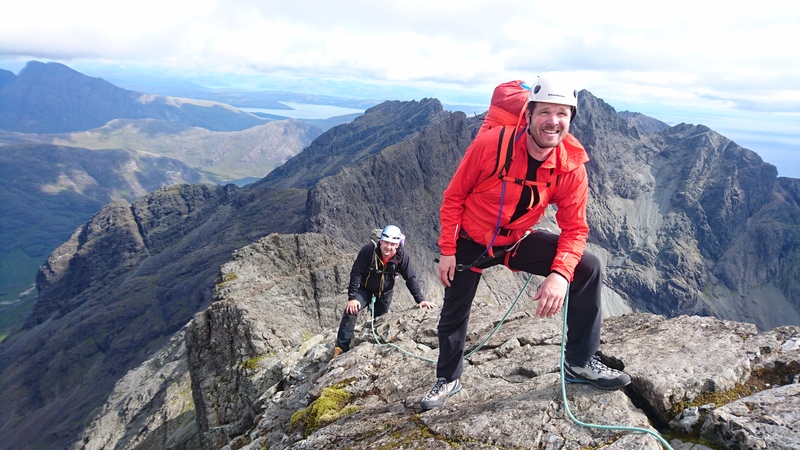 Chris and Steve took a week off their work in the hope good weather would coincide with a trip to Skye. 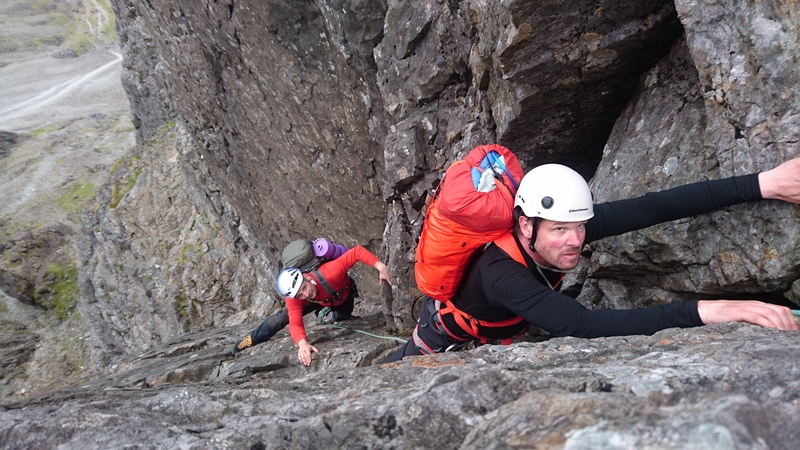 They had been to the Island previously so knew how fickle conditions can be and how important it is to get reasonable weather to complete a successful traverse. 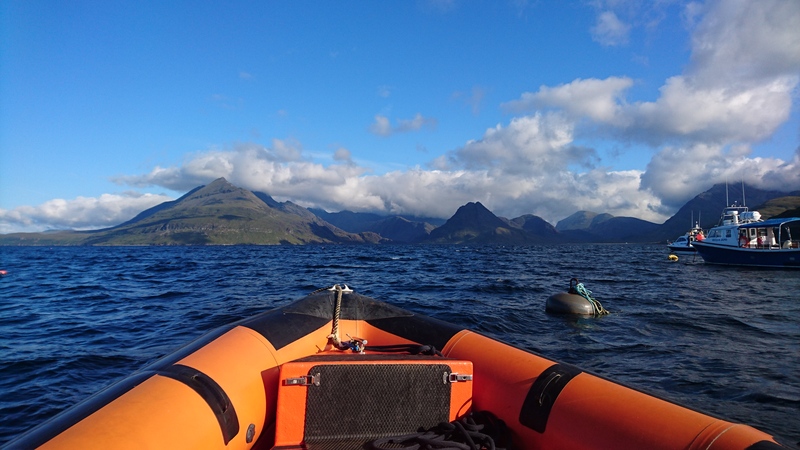 Wednesday turned out to be ‘the day’ so we made plans to get dropped off by the boat and make the preferable steady approach up the South flank of Gars-bheinn. 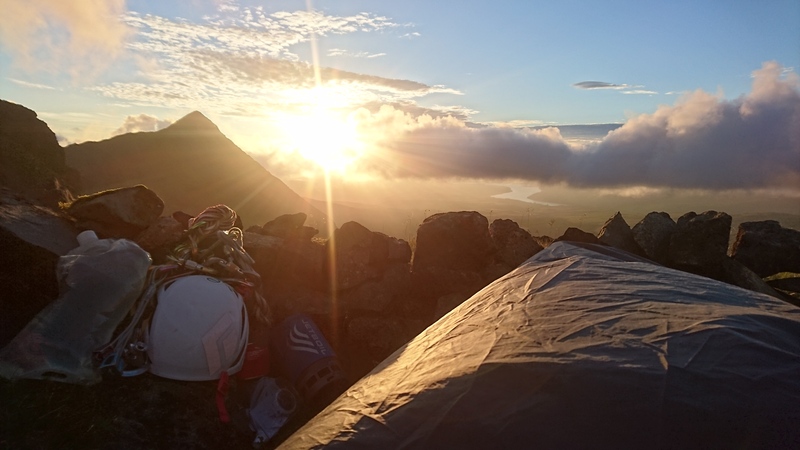 Timings are always in the forefront of the mind whilst on a traverse, and thankfully we just about got infront of a gaggle of people at the TD Gap; the first proper climbing of the day. 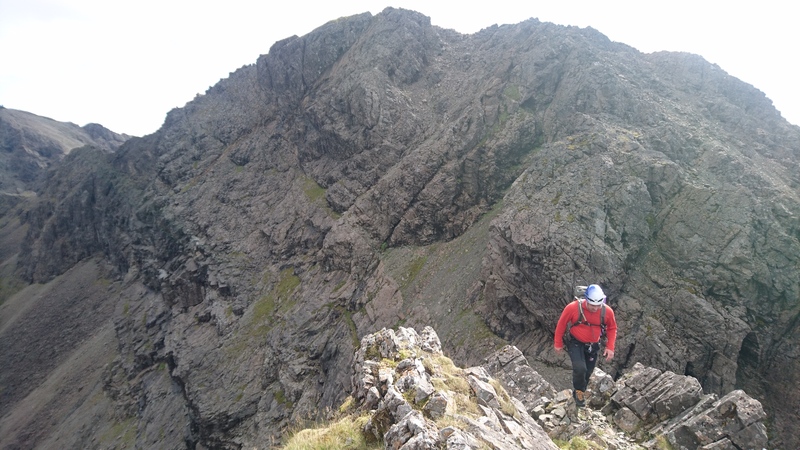 From here we had Kings Chimney, An Stac and the Pinn to ourselves allowing us to keep ahead of the game by leaving the Inaccessible Pinnacle by 1530. 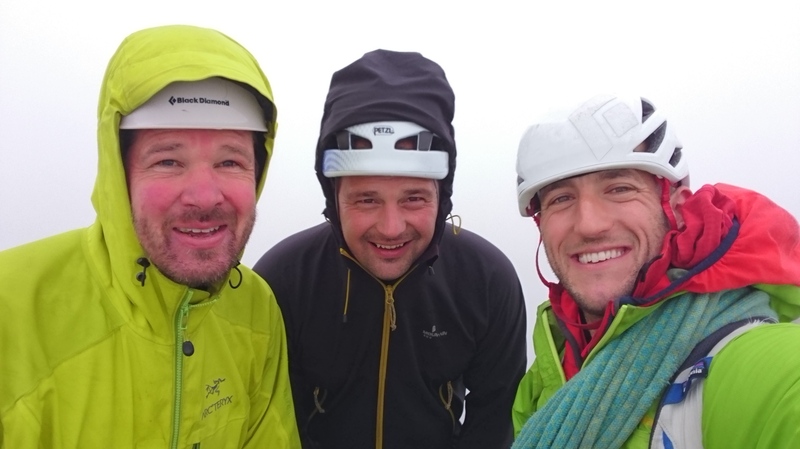 With such conditions we kept of chugging away, climbing over Ghreadaidh and Mhadaidh and its four tops before reaching our planned biv at Bealach Glaic Mor. I knew day two could turn out damp so the suggestion of carrying on was raised but not accepted. This I understand as tiredness had crept into Steve’s legs and he felt carrying on he’d become a burden. We settled in for a cool bivi but also an amazing sunset to warm morale. After a slightly damp and windy night we awoke to a couple of inquisitive young stags wandering through our camp. It was soon clear however the rain which had fallen through the night had made things rather slippery so Bidein was forfeit to make haste towards Am Basteir. Unfortunately, things didn’t get better only wetter and windier making Naismiths Route a little too risky to be fun. 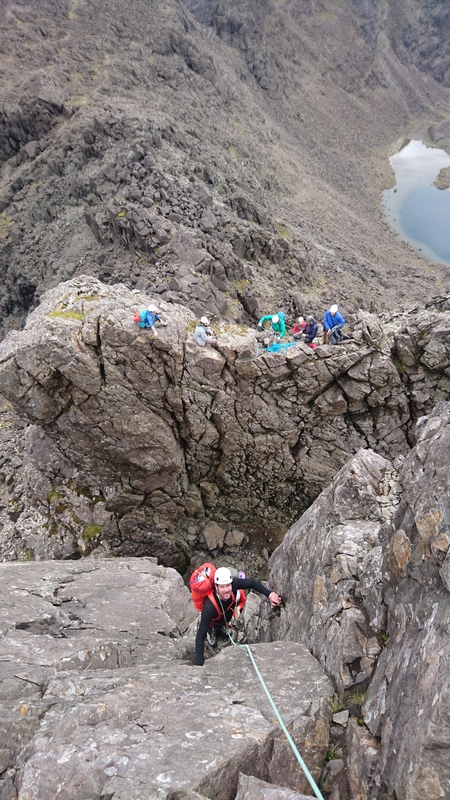 The team put in a huge effort to cut underneath and reascend to Bealach a’Bhasteir, from here we made an out and back twice to complete the final two Munros. Well done to Chris and Steve, who not only completed a long term ambition but did it in style too.